For calm and focused morning, reach for this latte. Matcha delivers powerful antioxidants, as well as a caffeine boost without the crash. Smooth, creamy, and lightly sweet, it’s everything you need. 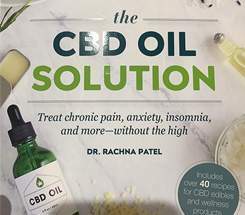 In a small saucepan, combine the nondairy milk and CBD oil. Place over medium-low heat and gently heat until warm but not boiling. Set aside. In a small saucepan or kettle, heat the water to 170-180°F (77-82°C). (Do not exceed 180°F [82°C] or the tea will be very bitter.) 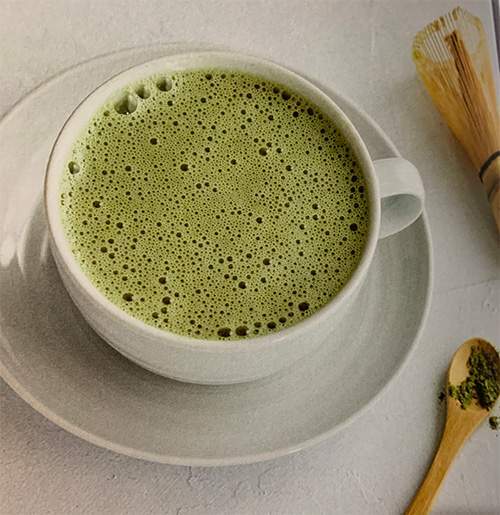 While the water heats, prepare two cups with 1 tsp matcha tea and 1/2 tsp sugar in each cup. Pour the hot water into the cups with the tea and sugar. Whisk. Add 1/2 cup (120ml) CBD-infused milk to each cup and whisk again. Serve immediately. This fresh and very potent ginger decoction is the gateway to relief for an upset stomach. The combination of CBD, fresh ginger root, and spearmint will aid digestion and soothe nausea. In a small saucepan, combine the water, chopped ginger, and mint. Place over medium heat and bring to a sim,er. Cover and simmer for 15 minutes. While the ginger and mint are simmering, warm the milk and CBD oil gently in a small saucepan over low heat or in the microwave for 30 seconds. Whisk thoroughly to combine. Remove the ginger and mint water from the heat and strain the liquid onto individual cups for serving. Discard the solids. Add the warm milk and CBD mixture in even amounts to each cup. Add 1/2 tsp honey to each cup and whisk thoroughly. Serve immediately. Bulletproof coffee features grass-fed butter or ghee for added healthy fats. This CBD-infused version can be made with any hot, freshly brewed coffee. Try it with flavored coffee beans like vanilla or chocolate almond for extra flavor. In a blender, combine the hot brewed coffee, grass-fed ghee, CDB oil, and sweetener. Pour into coffee cups and serve immediately with sweetener, if desired. Filling and nutritious, this green smoothie features a sweet, creamy base of coconut and banana balanced by the tart flavors of kiwi and green apple. Spinach and protein powder lend a nutritional boost. In a blender, combine the coconut milk and CBD oil. Blend until smooth and thoroughly combined. Add the protein powder, kiwi, spinach, mint leaves, green apples, banana, and ice chips. Blend until smooth and creamy. Pour into two glasses, and serve immediately. TIP: For a colder smoothie, chill all of the ingredients except for the CBD oil and the banana in the fridge until very cold before making this recipe.